The Palm Pre is scheduled to make its big GSM debut on O2 in Europe in just a few weeks, and it looks like final production units are making their way into the wild -- these shots of a German Pre complete with final box art and a localized keyboard just hit the wires. Nothing here you're not familiar with already, but man -- the GSM and the Pre, gettin' down. We'd only dared to dream, you know? Now all we need is a version with some North American 3G bands and we'll be all set. 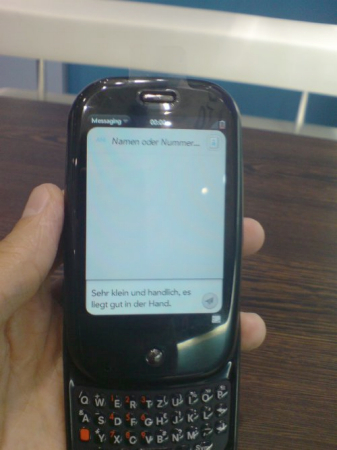 GSM Palm Pre for O2 Germany pictured in the wild originally appeared on Engadget Mobile on Tue, 06 Oct 2009 17:24:00 EST. Please see our terms for use of feeds.